Or maybe it just seems that way to me? Back in early May I got a bunch of new-to-me doll shoes and I mentioned them on Twitter. 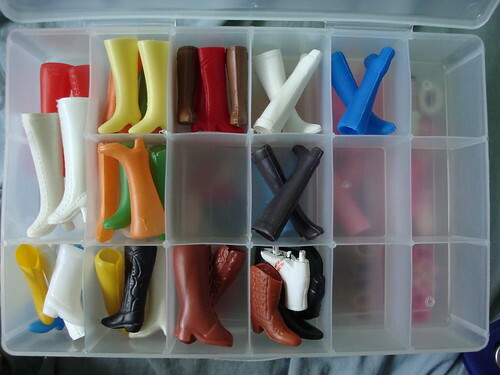 Which then turned into me organizing them into plastic boxes and then I did a really stupid thing. I counted up how many doll shoes I had. First I counted how many pairs of shoes that I had for Eden Mouse – my little Punkaholic People who only wears pink. She has twelve (12) pairs of shoes! And then I went and counted up all of the other pairs of shoes that I had. I had 38 pairs of ‘other’ shoes, which brought the total up to 50. 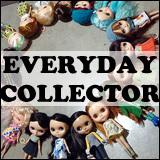 And then I counted how many pairs of stock Blythe shoes that I had, and I’ve kept all of the stock shoes that came with my dolls, – there was 15 pairs. Which means that I have 65 pairs of shoes. 65 pairs of shoes. I don’t know when this happened, or really how it happened. I know that several pairs came from thrifted dolls, one bunch of shoes came from a sundries sale that I caught a while ago. And then in May I added the 9 pairs of vintage boots. The fantastic thing about doll shoes is that they’re small, easily organized and stored, and don’t take up so much space. 65 pairs of shoes does not take up nearly as much room as 65 Blythes would. I just need to keep it in perspective sometimes. And it’s also kind of interesting that I’ve got a collection within a collection. My main collection is Blythe, but clearly I’ve also got a collection of shoes. Question of the Week: How do you store your doll shoes? 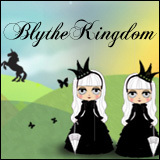 Question of the Week: Does your Blythe wear shoes? What a fabulous way to store them all! 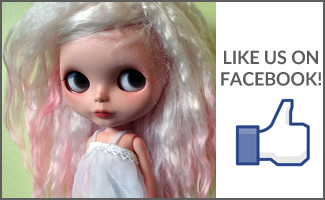 ^_^ My dolls only have 1 pair of shoes and are not happy about that! This is a great storage idea! I must steal it! And then buy a bunch of shoes to fill it up!